There are a few things better than eating delicious Indian food cooked fresh from your kitchen. The irresistable aromas filling your house is truly a nostalglic and happy experience. However, sometimes getting the right cookware to make traditional Indian food can be difficult. That's why we found the 10 best electric tandoors on the market so you can start cooking your favorite Indian dishes in the comfort of your own home! When you think of a tandoor, the first thing that comes to mind is likely the famous Indian dish, tandoori chicken. However, a tandoor is not just the style of that deliciously seasoned barbecue chicken. 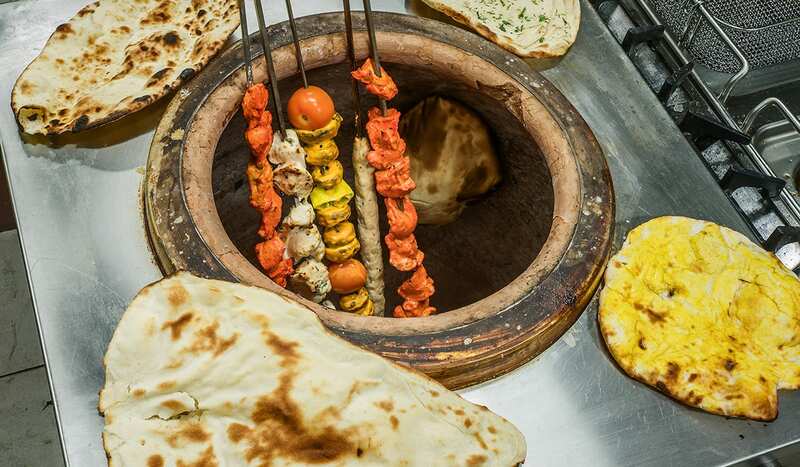 A tandoor is actually a type of oven and also method of cooking for preparing and baking breads and other varieties of Asian and Indian dishes. Traditionally, the tandoor is heated with charcoal or a fire creating high heats in it's circular, convection construction. Heats can get up to 480 °C (900 °F) and they are commonly left on to maintain high temperatures. Ultimately, the tandoor is a combination of a make-shift "earth oven" and a horizontal-plan masonry oven. 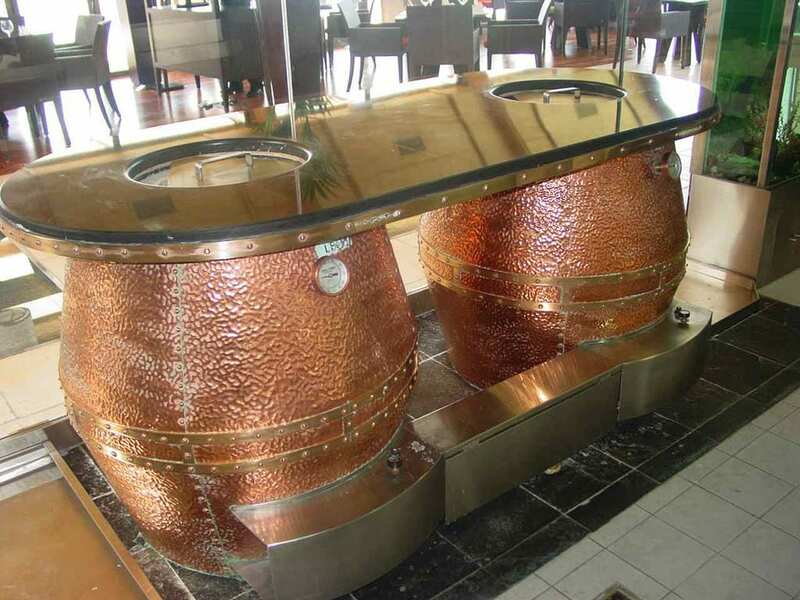 These are the most commonly used tandoors when it comes to eating out and Indian restaurants. Powered by gas or charcoal and sometimes electricity (which we'll be diving into), these ovens are excellent at pumping out your favorite Tandoor cooked dishes quickly and efficiently. Charcoal is generally the preferred methods of power for these ovens since it produces a delicious smoke-infused flavor in cooking. However, charcoal isn't necessarily the safest way to cook indoors. That's why most household tandoors are electric for safety reasons. Gas tandoors are very similar to square tandoors. The only difference is these are powered with a gas burner with petroleum or propane gas. The oven has several gas burners built into the floor of the oven and a plate that evens out the surface of cooking. 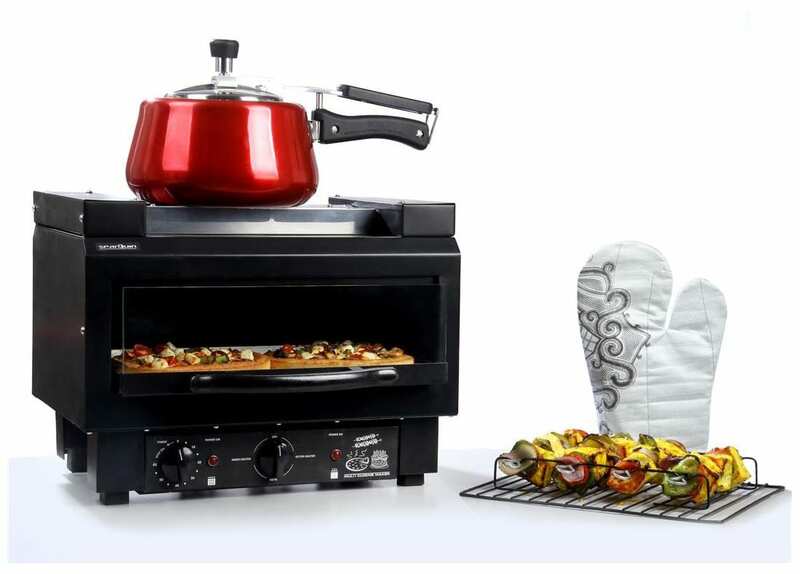 This technology allows you to evenly distribute the flame from the gas powered oven into your favorite dishes. For those of you who want to keep it really traditional, this is the oven for you. Dirt is a bit of a harsh way of saying...well..clay. You can actually make your own traditional clay if you have the right dirt/mud to make it. Check out how to make your own tandoor here. An interesting thing about these ovens is they're actually made from a steel drum. An earth pot is actually fitted into the steel drum and insulated so that the inside gets really REALLY hot. This simple but effective mechanism can actually get up to 1000 degrees. 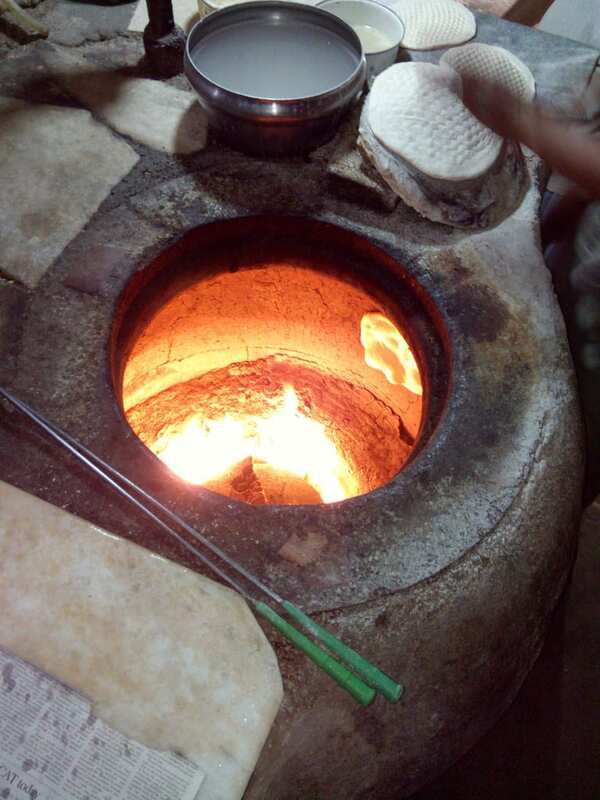 Check out a dedicated blogger who ended up making his own oil drum tandoor here. Even though you're probably really excited to upgrade your outdoor kitchen, it is very important to make sure you really know what you need from your new built in gas grill. Here are a few factors that can help you choose the best grill for your backyard. Choosing the right size grill can make or break your summer barbecue experience. Always triple check your measurements to ensure you have enough space to fit your grill. In a worst case scenario, you could get a grill that's way too big, or even way too small! It is very common for people to get confused by the number of grill tops they need. Even though you may not be cooking for as many people, you may want more grill tops for more cooking diversity. If you are cooking simple meals for less people, choose a grill with less tops. For those of you who are more experienced chefs, more grill tops will be ideal. It's extremely important to pick the right material for your built in grill. Sure, it may sound appealing to your wallet to cut costs on cheaper metals. However, in the long run, getting a stainless steel or higher-grade metal will be worth the investment. It will prevent from surface damage and other wear and tear throughout years of use. Make sure you check the BTUs and compare it to the size of your cooking surface. Generally, you want to aim for 80 – 100 BTUs per square inch of cooking space. The higher the BTU, the quicker fuel will be used up, so make sure to get a grill that uses up only the amount you will need and no more. Combine water, sugar, and yeast – stir until the yeast is dissolved. Let it sit for 10 minutes or until the mixture begins to rise. When the yeast is foamy, add milk, yogurt, flour, baking powder, baking soda, and salt and mix the with a silicone tool it forms dough. It should be sticky.